Why Service Your Volkswagen at Our Dealership? 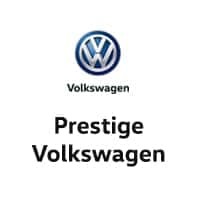 At Prestige Volkswagen, we are as dedicated to keeping your VW Beetle or Volkswagen Golf running like new. Our VW service department in Melbourne, Florida has an able crew of factory trained technicians certified in Volkswagen repair, and knowledgeable in the latest diagnostics and auto maintenance techniques. Every mechanic onsite is equipped to handle all jobs big and small, from scheduled Volkswagen maintenance to transmission repair. We’ll look out for your warranty, too, with genuine VW parts, the only parts designed to precisely replace original equipment. Give our Volkswagen service department a call today to learn more about our services and to speak to a specialist. Service your Volkswagen vehicle at your trusted Melbourne, FL Volkswagen dealership. There’s no appointment necessary for routine car maintenance in Melbourne, FL, at our Volkswagen Xpress Service bay. Roll in for a quick oil change, tire rotation, or cabin filter replacement. And with every visit, your VW Atlas or Volkswagen Passat receives a thorough multi-point inspection, free of charge. For more complex work, it’s easy to arrange an appointment with our convenient online scheduler. The auto service center at Prestige Volkswagen is open every weekday and Saturdays, too, making it simple to find a time slot that works with your busy schedule. Fill out our service request form to schedule automotive service in Melbourne, FL, or give us a call to speak to a VW professional at Prestige Volkswagen. We look forward to speaking with you about your Volkswagen vehicle’s needs!